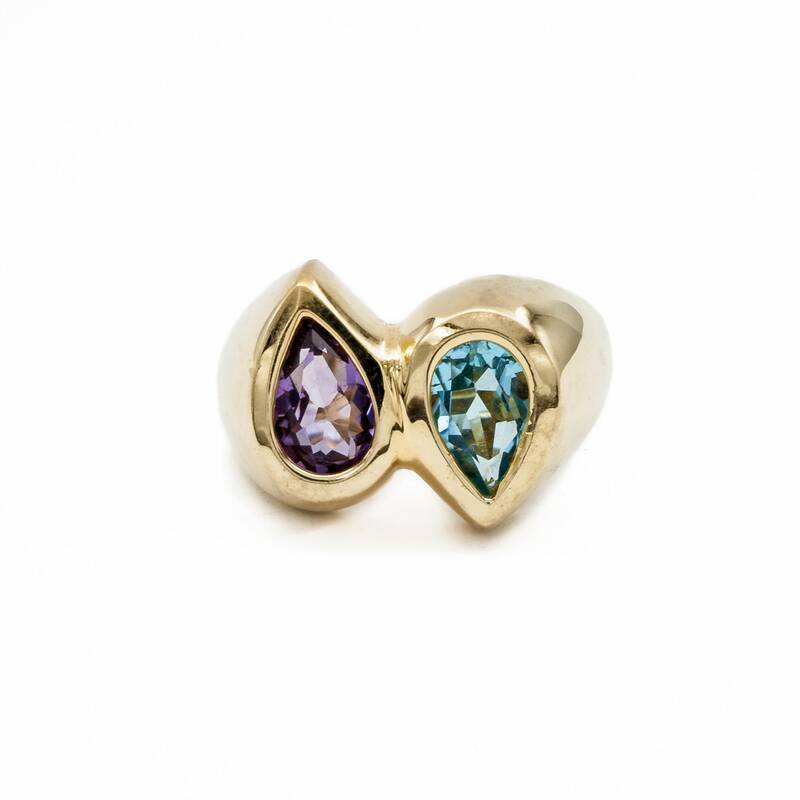 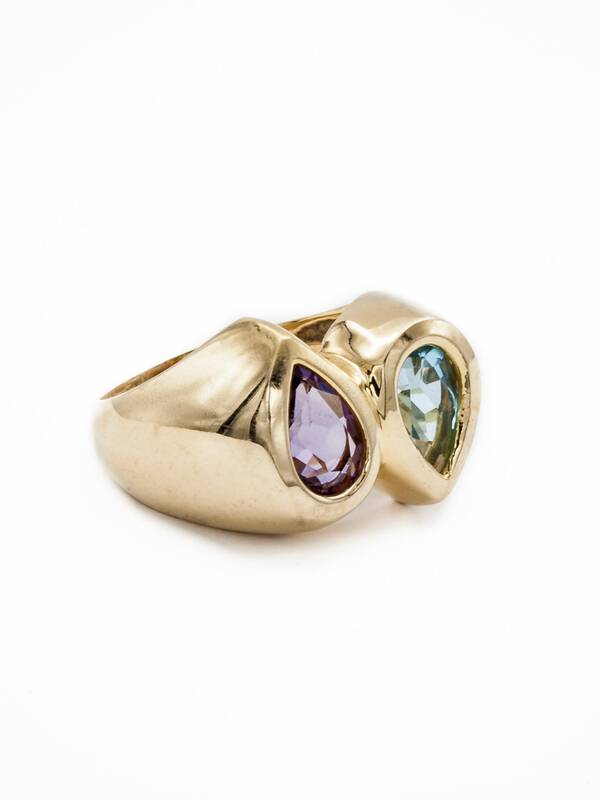 This unique ring of 14K yellow gold is bezel set with a beautiful deep purple Amethyst and fine London blue Topaz. 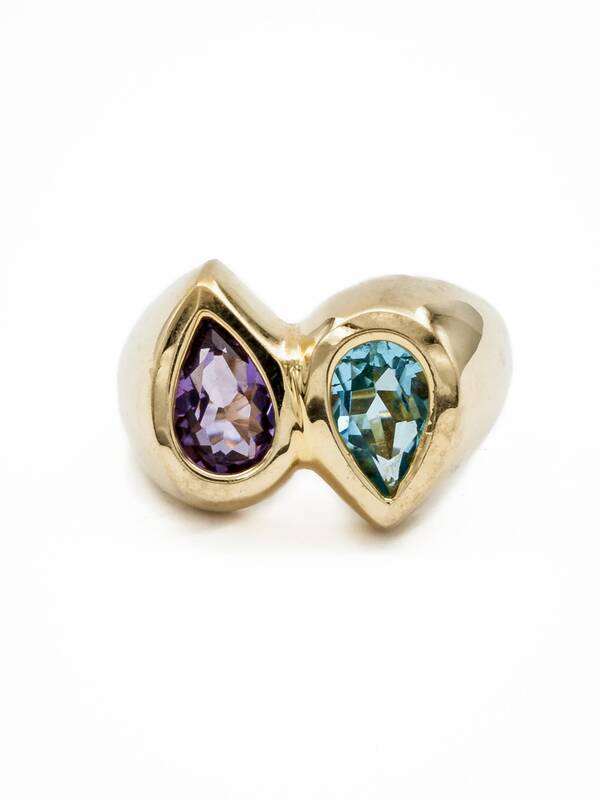 These pear-shaped gems are of deep hue, even pigmentation, and look handsome together. 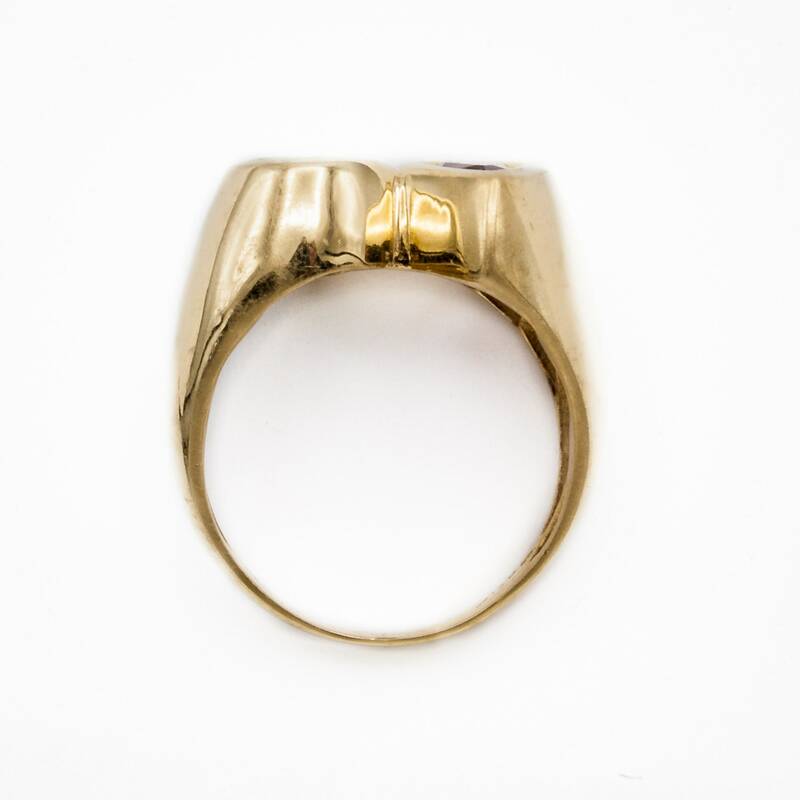 It is of substantial weight and could thus be worn easily everyday by a gentleman or a lady. 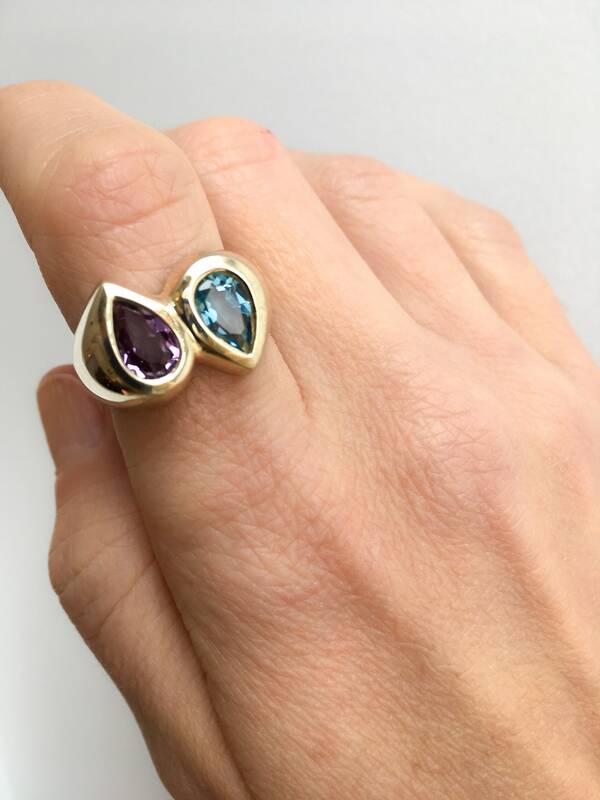 If you desire, we could change either stone to whatever gemstone preference you have, but there would be no charge to make it as two Blue Topaz, or two Amethysts. 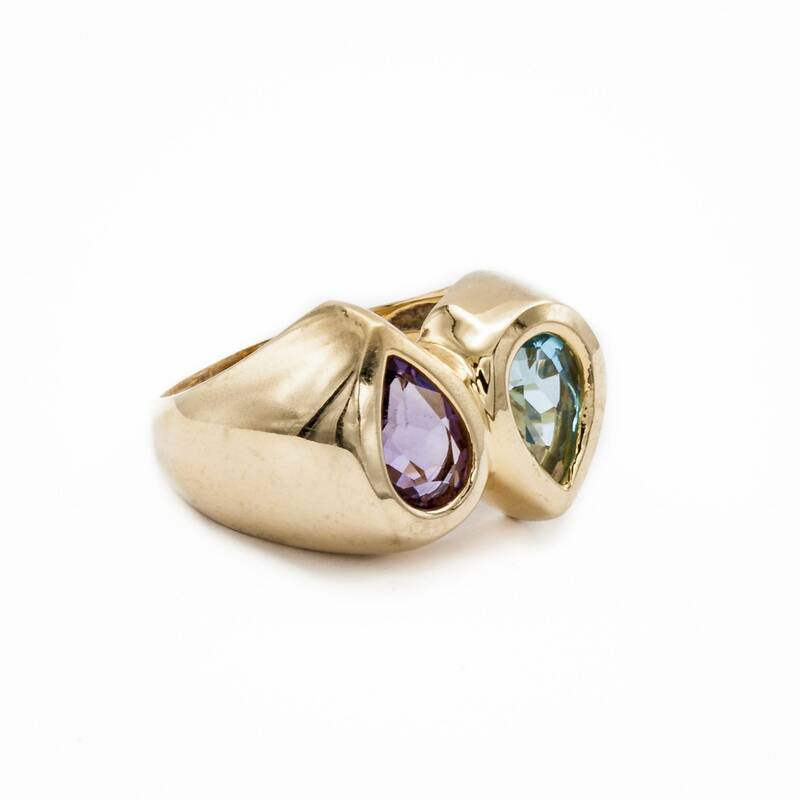 This ring is a size 7 3/8 (US), but we can re-size it to fit you comfortably.